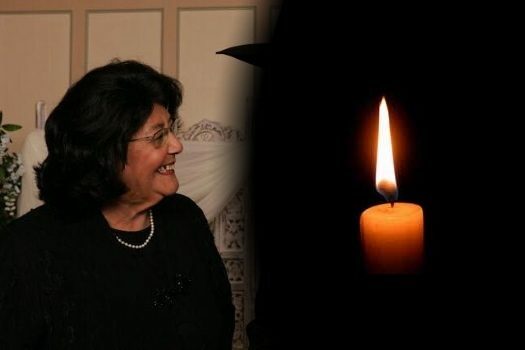 With sadness we inform you of the passing of Mrs. Sara Nechama Baumgarten, OBM, matriarch of a family of hundreds of Lubavitcher Chassidim all over the world, and a beloved member of the Crown Heights community for more than half a century. She was 87 years old. 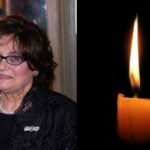 Along with her husband Reb Menachem Mendel Baumgarten, may he live and be well, Mrs. Baumgarten lived in a home whose door was always open. Located next door to Congregation Kehal Chassidim – a Shteibel in Crown Heights that became popularly known as ‘Baumgarten’s Shul’ – the Baumgarten home saw tens of thousands of guests go through its doors over the years, especially Baalei Teshiva, who all left warmed, inspired and well fed. 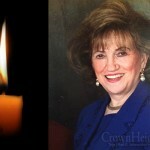 “She was the Avraham Avinu of Crown Heights,” one family member told CrownHeights.info. Mrs. Baumgarten was a successful Shadchan who brought countless couples together, and was active in educating young Kallahs about the laws of Taharas Hamishpacha. 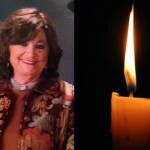 She is survived by her husband, Reb Menachem Mendel, and their children: Rabbi Yossel Baumgarten (Johannesburg, South Africa); Mrs. Shterna Rodal (Los Angeles, CA); Mrs. Breina Popack (Tzfas, Israel); Rabbi Leibel Baumgarten (Long Island, NY); Rabbi Sholom Ber Baumgarten (Crown Heights); Rabbi Zalman Baumgarten (Crown Heights); Mrs. Chanale Posner (Plantation, Florida); Mrs. Tzirl Suede (Mexico); and Rabbi Levi Baumgarten (Crown Heights); as well as many dozens of grandchildren and great-grandchildren. The Levaya will take place on Sunday, leaving from Shomrei Hadas Chapels in Borough Park at 1:00pm, and passing by 770 at 2:00pm. A dear friend, neighbor and role model – Mrs. Baumgarten has inspired so many and will continue to live through her wonderful children. Sincerest condolences from Shalom Ber and Frida Schapiro. the baumgartens were a big help to the bt community in those early yrs in CH. my her family be comforted! the description of her was quite accurate. Her maasim tovim, the way she did them, were above and beyond expectations. were is the family sitting ?? ?